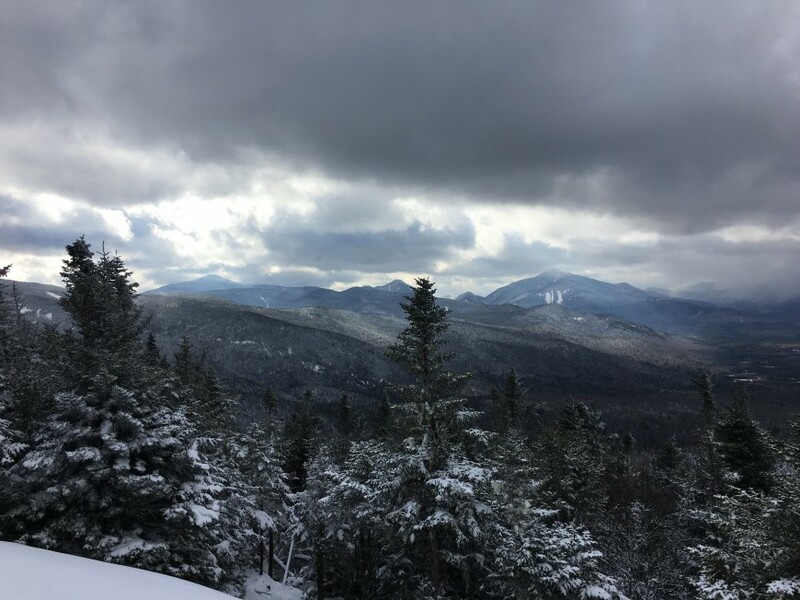 Cascade Mountain is located in Lake Placid, NY and features incredible views of many Adirondack high peaks, Lake Champlain, and even the Green Mountains of Vermont. Due to the outstanding views, and ease of access, this is one of the most popular hikes in all 4 seasons. This trail is the most common way for hikers to summit Cascade Mountain. It is an out and back trail that features a mostly gradual gain to the summit. Around 1.8 miles into the trail, you will get your fits good views, and will reach the summit in 2.4 miles. Porter Mountain is often combined with Cascade Mountain and ads 1.4 miles total to the hike with a quick out and back trip. Cascade Mountain is a great option for a winter hike due to the short mileage and popularity of hikers. It does feature a few icy and steep sections that microspikes will help greatly in. The summit is exposed and can be very windy and cold in winter months.